Kansas defensive tackle DeeIsaac Davis (99) sacks Memphis quarterback Riley Ferguson (4) during the third quarter on Saturday, Sept. 17, 2016 at Liberty Bowl Memorial Stadium in Memphis, Tenn.
Don’t look now, but Kansas has the ninth-ranked passing defense in the nation, allowing just 135 passing yards per game and 4.8 yards per pass attempt. The D-line will need to continue to bring the heat for Kansas to maintain what has been the strongest aspect of the team, its pass defense. 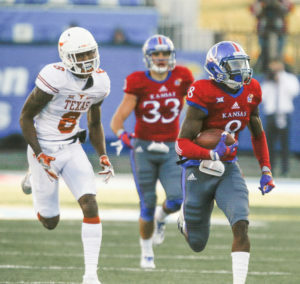 Big 12 offenses know how to shred secondaries every year, so it’s not realistic for Kansas to maintain its current national ranking, but if the Jayhawks can pressure the quarterback on a regular basis the way the hounded Memphis’ Riley Ferguson they can slow down pass-happy offenses looking to run up the score on them. 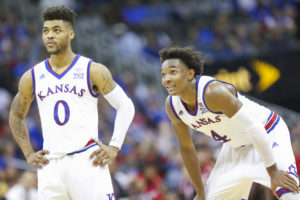 “We fed off of each other’s energy, that’s what we do,” sophomore Dorance Armstrong said of the heat the the Jayhawks put on Ferguson. 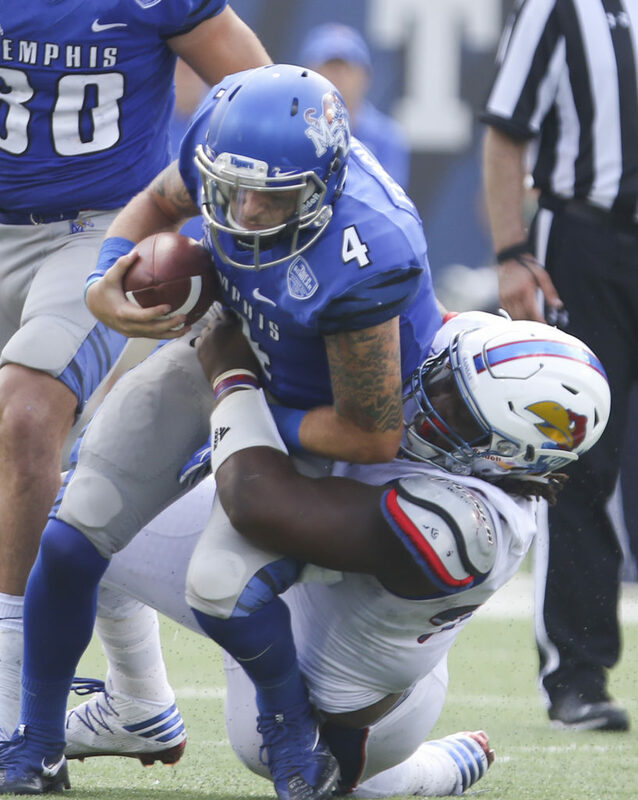 Clearly, Memphis came into the game determined to keep defensive tackle Daniel Wise from getting into the backfield to slam ballcarriers to the turf the way he did in the first two weeks of the season. Every move Wise made was greeted with a pair of blockers double-teaming him. He didn’t make any tackles until the second half and finished with three, none behind the line of scrimmage. It was imperative that the rest of the D-line take advantage of all the extra attention being paid to Wise or other teams would have no qualms about doing the same. Wise’s mates up front delivered, combining for four of the team’s five sacks, three for 19 yards from Armstrong and one apiece from junior DeeIsaac Davis and senior Damani Mosby. 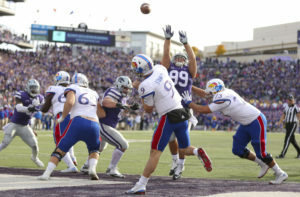 Actually, Kansas did have one sack coming into the Memphis game, but none from the defensive line. Linebacker Courtney Arnick had one sack for five yards coming into the game. 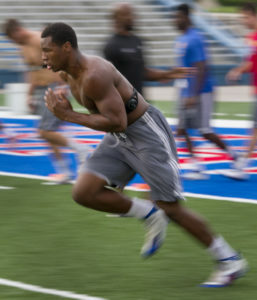 One week from Thursday, Kansas faces the No. 1-ranked passing offense in the nation. Patrick Mahomes leads the country with 497.7 passing yards per game and has thrown 14 touchdown passes and two interceptions. A more encouraging way of looking at it than focusing on the Red Raiders’ passing ranking is to consider that Mahomes is facing the nation’s ninth-ranked passing defense.